YEREVAN (Noyan Tapan)–The Russian Supreme Court Wednesday ruled against a reparations-grant motion filed by the relatives of Stalin-era criminal Lavrenty Berea. Berea–a Georgian national–was considered Soviet leader Joseph Stalin’s "right-hand man," and was responsible for carrying out orders of deportations and pogroms against Soviet citizens at the time. Hundreds of Armenian intellectuals were murdered or deported at the hands of Berea. 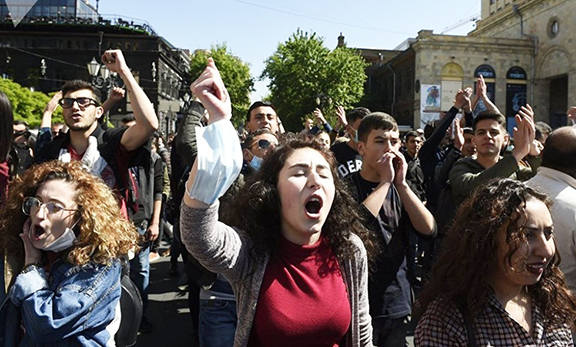 Commenting on the Russian court’s ruling–Georgian president Eduard Shevardnadze said that "My generation will never allow for reparations for the former internal secretary Lavrenty Berea." The Georgian president added that while he served as foreign minister of the Soviet Union he had opportunity to review Soviet archival material on Berea’s activities during the Stalin reign of terror and was acquainted with "horrible crime committed by Berea." "God forbid that such acts are repeated without legal action," said Shevardnadze.